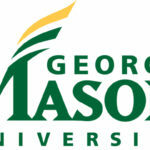 George Mason University Counseling and Psychological Services (CAPS) seeks a full-time, experienced Psychologist (1.0 FTE, with benefits). George Mason University has a strong institutional commitment to the achievement of excellence and diversity among its faculty and staff, and strongly encourages candidates to apply who will enrich Mason’s academic and culturally inclusive environment. Counseling and Psychological Services promotes the emotional growth, well-being, and academic success for a diverse student body. CAPS provides culturally sensitive mental health and learning services, prevention programming and outreach, and training for emerging mental health professionals. Additional duties as assigned. The omission of specific duties does not preclude supervisor from assigning specific duties not listed above if such duties are a logical assignment to the position. The position may require working at least one evening per week. Experience with brief psychotherapy, group psychotherapy, and evidence of multicultural competence and experience working with diverse populations. Ability to work in a fast-paced, high-volume clinical setting with clients presenting in acute distress. For full consideration, applicants must apply for position number FA909Z at http://jobs.gmu.edu/; complete and submit the online application; and upload a cover letter that identifies your interest and qualifications for this position, a resume/CV, and a list of three professional references with contact information. This position will remain open until filled. For questions, candidates may contact Nina Joshi, Office Manager, at 703-993-2380. Copyright © Asian American Psychological Association.